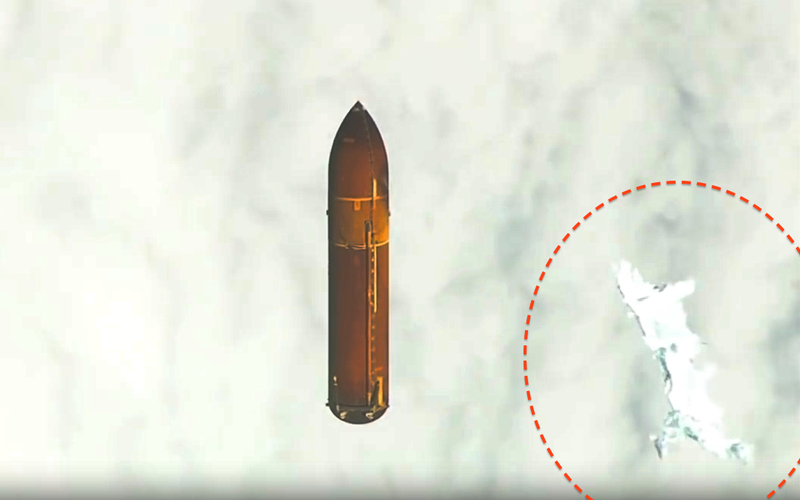 UFO SIGHTINGS DAILY: White Biological Life Forms Seen During Shuttle Mission STS 134, NASA Video, UFO Sighting News. 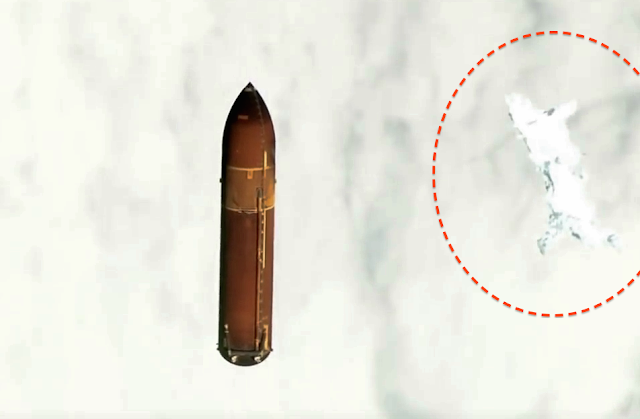 White Biological Life Forms Seen During Shuttle Mission STS 134, NASA Video, UFO Sighting News. A reader here has asked me to look into a video about the shuttle Endeavour mission. He pointed out the video below posted by UFOorbs of Youtube. It was suspicious...but when I went to the official NASA youtube account and found the original...they matched. At 4:52 into the official STS 134 NASA video, we see a massive white object, as big as the empty fuel tanks falling to Earth from the shuttle. Nothing could be as big as those tanks...nothing, unless the shuttle itself exploded, which it did not. These white objects are not moving with the tank, but instead, they are being passed by as the tank moves faster than them, passing them one by one. Now, I have heard about such UFOs which are white and seen by an astronaut when he orbited the Earth...John Glenn reported to newspapers back in Feb of 1962 that he saw tiny white butterfly like glowing flakes moving in a swarm around his orbiting craft, landed on it, he banged on the hull, they flew off and away. I believe these are the same biological creatures, but here we see them in different sizes, holding onto one another to become bigger. This still has my head whirling...remember the last video has many of these objects in it. PLEASE WATCH IN FULL SCREEN TO SEE. ONE VIDEO DELETED FOR UNKNOWN REASONS. Below is the OFFICIAL NASA video.